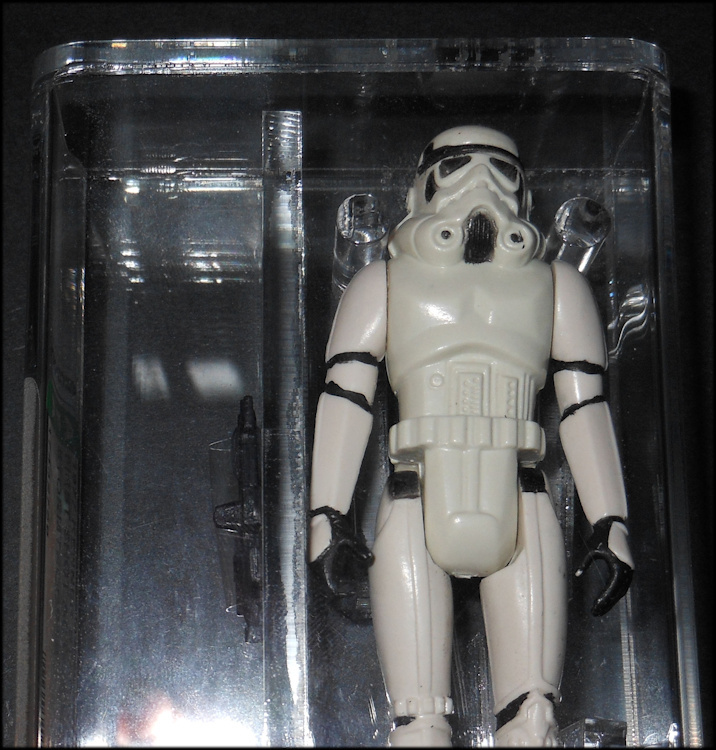 This rare internal first shot exhibits hand painted details, and lacks all copyright and Country of Origin (COO) stamps to the back of the legs. 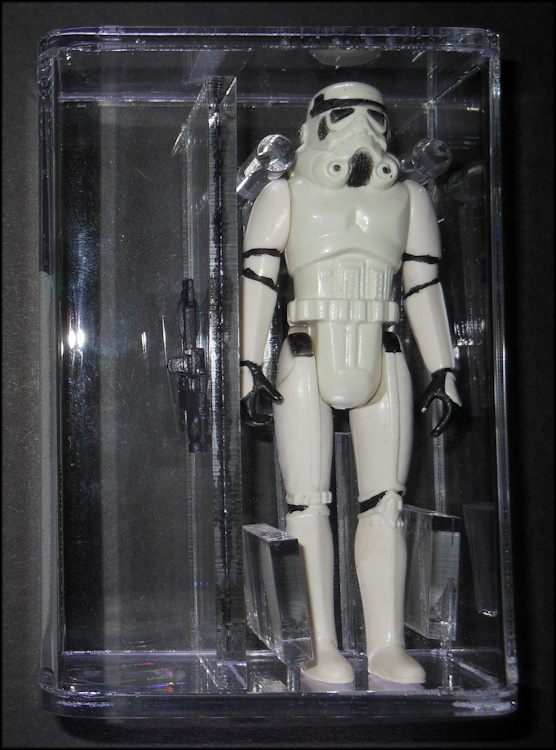 Saved correspondence from the original sale notes that the PVC used to create the arms and legs are softer than production and that the size of the figure is slightly smaller than what was later released. 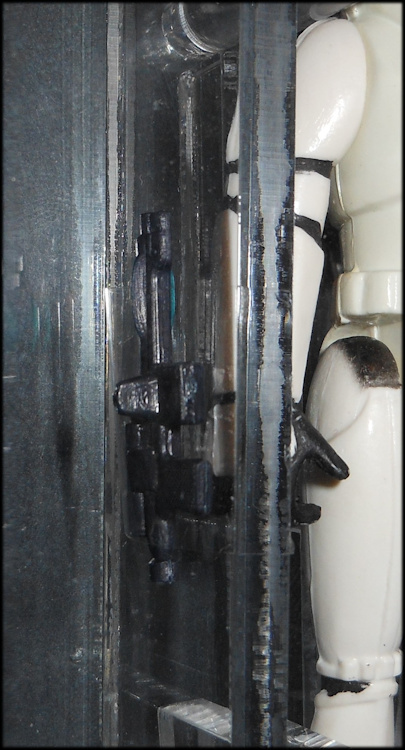 The provenance for the blaster goes back to Kenner Photographer Kim Simmons and is noted as a first shot used for photography. Although no CIB letter accompanies this figure, a LOA from Rachfal Enterprises documenting the original correspondence details noted above will be included. 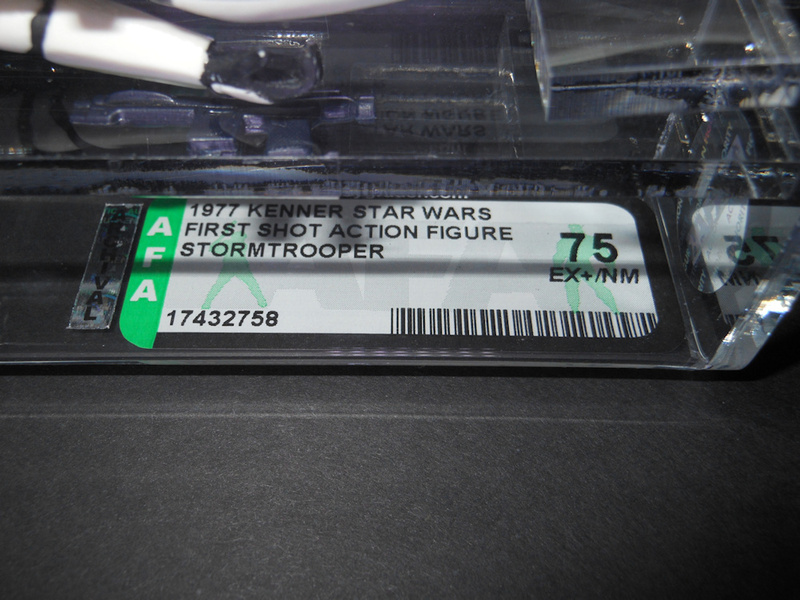 To preserve the figure it has been encapsulated by AFA and carries the grade of 75 EX+/NM Serial# 17432758.